One of my goals this year is to feature fun, unusual and quirky ways that people are sharing the reading experience around the world. This week I’m talking about a really cool holiday destination in my home country of Scotland. The Open Book is a small, independent bookshop in Wigtown on the west coast of Scotland which offers a unique vacation experience. Visitors can stay in the bed and breakfast above the bookshop at night and spend their days volunteering in the shop itself. With help from staff members, guests are given all the day-to-day responsibilities of running a bookshop, including opening/closing, selling books and restocking shelves. They are also encouraged to make their mark on the shop by writing about their experiences on the shop’s blog, getting creative with window displays and even hosting readings or musical performances. What better way for a booklover to relax, destress and have a great experience! The idea behind this is to draw attention to the value of unique indie book retailers and to encourage people to play a part in keeping them alive. Guests are asked to stay for at least a week so they can learn their way around the shop and get the chance to really contribute. The price is £28 (approx. $40 USD) per night and includes a room for two with access to a laptop, free wifi, breakfast, use of a bicycle to explore the surroundings and a truly rewarding holiday experience. You can find full details at their Airbnb listing here. Wigtown itself is something of a literary haven. In 1998 it was designated as Scotland’s National Book Town and hosts over 20 book-related businesses including a number of first and second-hand bookshops. It also has its own book festival (Wigtown Book Festival, now in its 17th year) which runs over 200 events over a 10-day period and attracts authors such as Ian Rankin, Matt Haig and Kirsty Logan. Some of the more unusual events last year were a shadow puppet show, a Doctor Who trivia session and a bookshop dinner! This year the festival will run from 23rd September to 2nd October and you can find out more at their website here. Stay tuned for more features like this in the coming weeks! I knew it was dangerous to walk into a bookshop when I really only have enough money at the moment to buy gifts for others, but is it my fault that some of those gifts can only be found in a bookshop? I admit it’s suspiciously convenient, but it wasn’t a deliberate excuse to wander around one of my favourite bookshops. Honest. 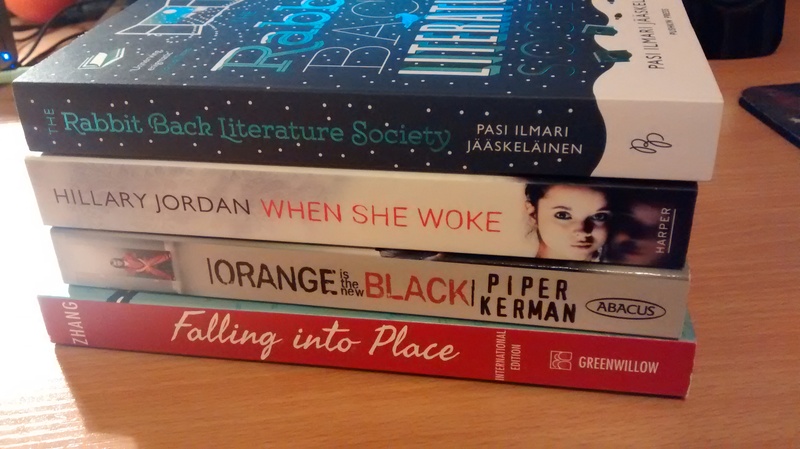 Anyway, after picking up the presents I was looking for, I decided to treat myself to a book … and then another, and another, then I put one back (Eleanor & Park, I regret that now), then, oops, two more jumped into my hand! Others were calling to me with their bookish siren song, but I somehow managed to tear myself away and avoid being wrecked on the financial shoals. For now! Falling into Place by Amy Zhang: I had almost made it to the counter to pay when I spotted this one on the corner of a table (like it was waiting for me). It was featured in my second Friday Finds post so I already knew I wanted to read it without having to check out the synopsis, hence the snap decision to buy it. Yay! Orange is the New Black by Piper Kerman: Many of you will have heard of the hugely popular and successful Netflix show which is based on Kerman’s account of the 15 months she served in prison. I absolutely LOVE the show and I’ve wanted to read the book for ages, so I’m really excited to have it. I had planned to wait until I could get the original cover rather than the Netflix one, but it was sitting right there on a shelf and I couldn’t help myself. Plus, my favourite actress ever is on the cover as she plays Galina “Red” Reznikov on the show (Kate Mulgrew, who I have raved about before on this blog), so I’m okay with this version. I can’t wait to read about the real story behind this awesome show. When She Woke by Hillary Jordan: This one was featured in my third Friday Finds post and has been near the top of my TBR list since then. It was the book I picked up first and was supposed to be the only one I bought for myself today. Oh well! I’m super excited to finally have this one in my collection and it will probably be the one I read next after I finish the two I’m reading now (The Book Thief and my ARC copy of Things Grak Hates). The Rabbit Back Literature Society by Pasi Ilmari Jääskeläinen: I’ve seen this on Goodreads several times over the past few months but I only recently added it to my TBR list. The synopsis sounds very odd, but in an interesting way, so I definitely want to read it. The cover is beautiful and the UK version has snow on it, so it’s perfect for this time of year. It makes me want to grab a hot chocolate and curl up with it on the couch. Ahh, bliss! I’ll be reviewing all these once I read them, so stay tuned! 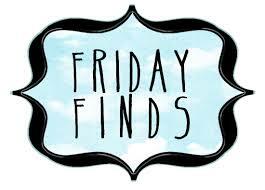 Friday Finds is a weekly meme hosted by Should Be Reading which encourages you to share the books you have discovered over the past 7 days with your fellow bloggers. Whether you found them in a bookshop, online, in the library or just heard about them from a friend, Friday Finds is a great way to spread the love with other readers. All books are linked to their Goodreads pages so you can discover them too. 1) The Universe Versus Alex Woods by Gavin Extence: I rarely leave a bookshop without picking up at least one YA novel, and this trip was no exception. “When, aged seventeen, Alex is stopped at Dover customs with 113 grams of marijuana, an urn full of ashes on the passenger seat, and an entire nation in uproar, he’s fairly sure he’s done the right thing.” I’m very interested to know how Alex ended up in this unusual situation, and find out more about life with his clairvoyant mother and his unlikely friendship with the irritable and antisocial Mr Peterson. My YA-loving friend has told me this one is really good, so I think I’ve done the right thing too! 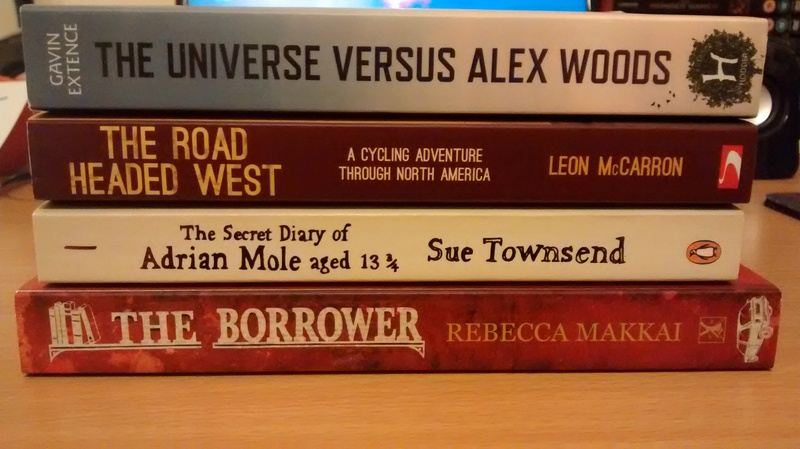 2) The Road Headed West: A Cycling Adventure Through North America by Leon McCarron: I don’t often read non-fiction books so this was an unusual pick for me, but I’ve been missing my friends and adventures in the US a lot over the last year, so I was drawn to this one. It’s the account of Leon McCarron’s 6,000 mile journey across North America beginning in New York and ending up at the Mexican border. After realising the fear of being stuck behind a desk for the rest of his life was greater than the fear of taking on such a journey with nothing but a backpack and a bicycle, he took off alone and had what sounds like the adventure of a lifetime. I’m definitely not a cyclist but I have had some wonderful experiences travelling along the west coast of the US, and I think this book will remind me of those times. I’m particularly interested to find out about his stop in Seattle as it’s probably my favourite city in the world and I miss it all the time. 3) The Secret Diary of Adrian Mole aged 13 ¾ by Sue Townsend: My Mum had mentioned enjoying this book when she was younger so when I saw it on the shelf I just had to have it. This is the first of a series of Adrian Mole novels and is written in the form of a diary which chronicles the trials of Adrian’s early adolescence. The few extracts I’ve read are hilarious, so I’m really looking forward to reading it. The one I bought is the 30th anniversary edition so it has lots of additional features like a reprinting of the original 1982 cover on the inside (pictured left) and more details about Adrian from the author’s original manuscripts. 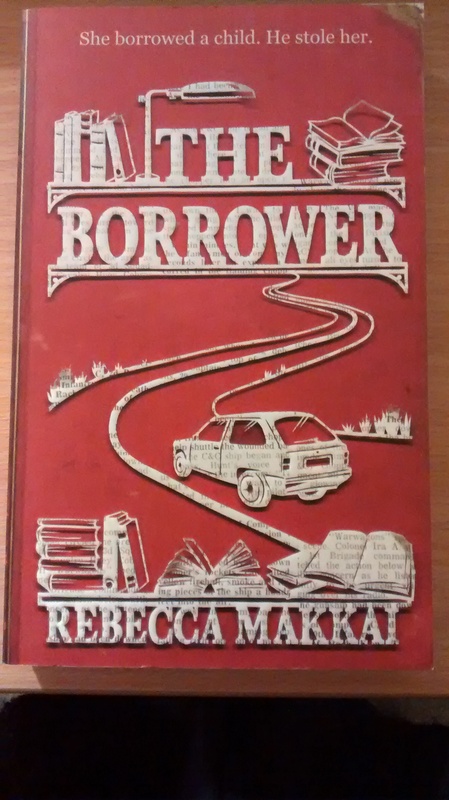 4) The Borrower by Rebecca Makkai: Firstly, I love the cover of this novel. Not the car and the road so much but the bookshelves and the fact that all the text and images are made up of printed words from a book. The top corners of the back and front are also deigned to look like they’re from an old and worn book. It caught my eye right away and after reading the synopsis I was definitely keen to read it. Lucy Hill is a young children’s librarian who finds a ten-year-old boy has set up camp in her library after running away from his mother and the anti-gay classes she forces him to attend. Driven to help the young Iain Drake whose passion for reading rivals her own, Lucy agrees to “escape” with him from Missouri to Vermont. Their road trip takes them on an adventure involving an unwelcome boyfriend, the shadowy Russian connections of Lucy’s father, moral dilemmas, self-discovery … and some ferrets. I’m intrigued! I’m also really excited to have received my first ARC. It was an unexpected surprise when the author, Peter J. Story, sent me a message on Goodreads and asked me why I was interested in his debut novel Things Grak Hates, which I had added to my “to-read” list, and if I would like a free copy in exchange for an honest review. Of course I said yes! I know this isn’t unusual but I’m not on NetGalley or anything so I wasn’t expecting to get any ARCs, hence the excitement! I’m nine chapters in at the moment and I’m quite enjoying it … I think. It’s certainly giving me a lot to think about! I’ll post the review once it’s done. On a side note, isn’t his surname awesome? How could he not become an author with a name like that?! So what books have you discovered this week? Have you read any of the ones I’ve mentioned? Let me know in the comments! The inspiration for this blog came from an unusual place, at least for me. I was working on a job application and one of the requirements was that I write about what I considered to be the most interesting publication of the last year. My first thought was S. by J.J. Abrams and Doug Dorst because of its original (and very cool) concept, but that’s not the one I landed on. I had to be concise and professional in the application, and my creativity felt a bit stifled, so I decided to write about the book I chose here. I didn’t get the job, but at least I got this blog post out of it. I ended up choosing a wonderful little book I had sitting on my desk waiting to be gift wrapped for my friend’s birthday. 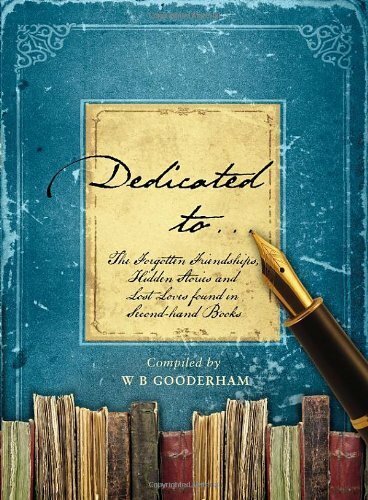 It’s called Dedicated to… The forgotten friendships, hidden stories and lost loves found in second-hand books and is a beautifully designed collection of inscriptions discovered inside second-hand books which author W.B. Gooderham has spent years compiling and preserving. Each inscription is faithfully reproduced in the original handwriting, transcribed where necessary, including full colour cover images of the books in which the dedications were found. The book cover is beautiful and the author’s introduction is presented on aged and worn looking paper. In case you hadn’t noticed, I think the design and production team over at Bantam Press knocked this one out of the park! I find it interesting for several reasons. In the age of the ebook and digitised content, it underscores the continued significance of books as physical objects which can be given as meaningful gifts inscribed with the giver’s sentiments. It nurtures the idea of second-hand bookshops as treasure troves of the personal histories and memories of the books’ former owners. These inscriptions reveal additional layers of meaning to these books which transcend, and sometimes seemingly conflict with, the content within. 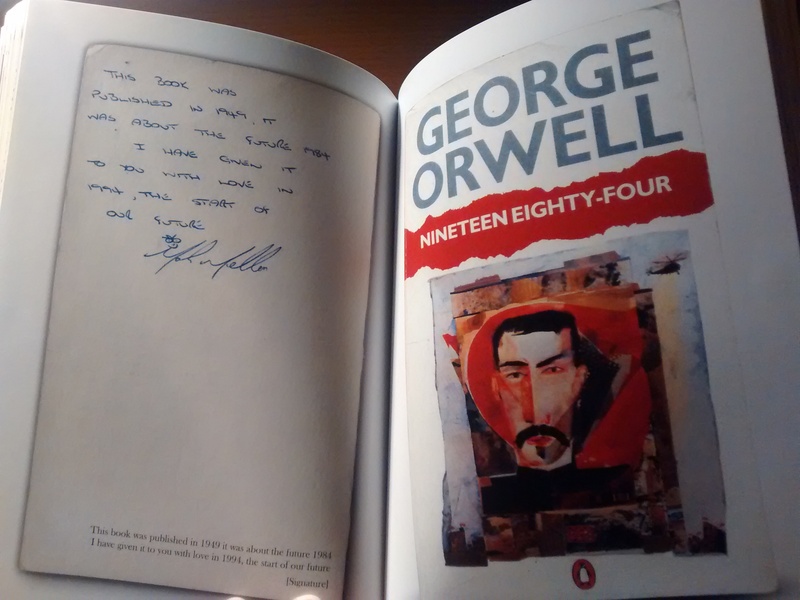 For example, in a copy of George Orwell’s dystopian masterpiece 1984, is a dedication not of fear and oppression, but of hope and love. It reads: “This book was published in 1949, it was about the future 1984. I have given it to you with love in 1994, the start of our future.” Sentiments such as this provide a fascinating insight into the different ways in which books are interpreted and valued by their readers. You can click on this for an enlarged version to see the text better. Not all books are given with such romantic intentions, however. Imagine opening a copy of A Book of Surrealist Games given to you by your girlfriend that simply reads: “For Ted – my period is 3 days late. Xo. d.” Not the most sensitive way of dropping that bombshell! Of course it could all have been a joke, given the choice of book it was written in, but that’s one of the great things about these inscriptions: you can’t know for sure what the writer’s original intentions were. Some inscriptions are more obvious, and some are just plain cute. One of my favourites was found in a battered old copy of the British children’s classic Worzel Gummidge. It read “If this book should ever roam, box its ears and send it home.” It may not have made its way back to its original owner, but at least W.B. Gooderham gave it a good home and shared its message with other readers. I have to wonder why these books were given away in the first place. Did the relationship which inspired the 1984 dedication break up? Did Ted discard the reminder of an insensitive joke or the beginning of an unplanned journey into fatherhood? How did good old Worzel lose his way? These questions will most likely never be answered, so, like many great books, this one will leave it up to the imagination to decide. 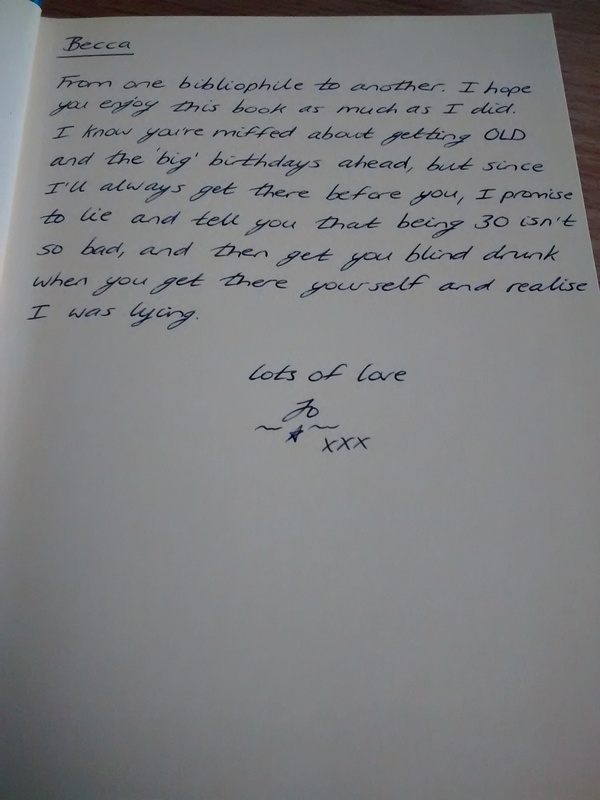 I wrote my own dedication to my friend when I gave her this book. It seemed appropriate. I’m sure she won’t mind if I share it. Author W.B. Gooderham continues to collect inscriptions from second-hand books and posts them to his blog. You can check it out here. There are two ways by which I usually enter a bookshop: by a slow, leisurely meander through the doors, intent mainly on browsing, perhaps a purchase or two; or by a determined, purposeful stride, intent on seeking out and purchasing a specific book, or books. The former tends to have a bigger impact on my bank balance, as my vow to “just have a look” quickly morphs into “let’s see how many books I can lug home without dislocating my shoulders.” Not that the intention to buy a particular book necessarily acts as a deterrent to buying more; sometimes it’s the exact opposite. Books are like chocolates that way, you can’t just have one and be satisfied, you always have to have at least one more. Or six. A few years ago, I walked into the Waterstones on Edinburgh’s Princes Street one day with my determined, purposeful stride. 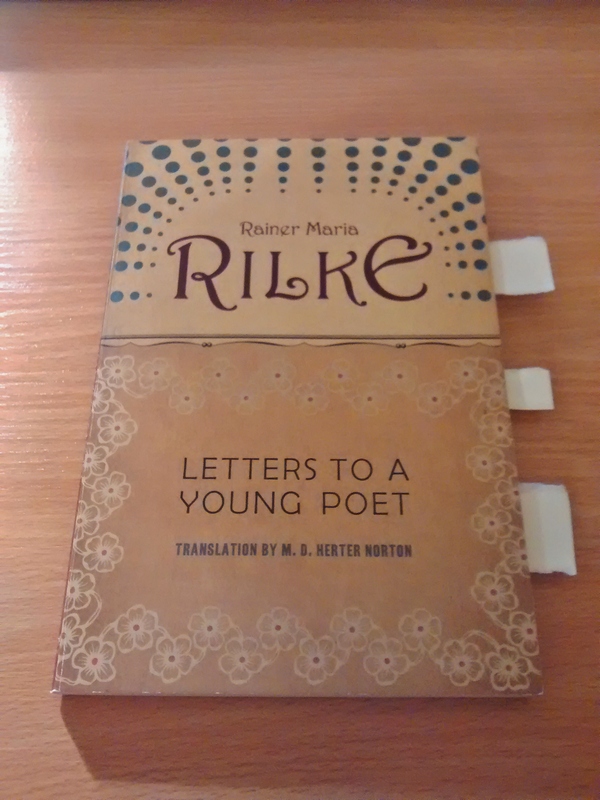 I was on the hunt for a specific book; Letters to a Young Poet by Rainer Maria Rilke. I headed up to the second floor and went straight to the poetry section. I was hopeful that I would find the book, but deep down I thought I would probably end up having to order it online. I almost missed it, tucked away as it was between much thicker volumes of Adrienne Rich poems, but it was there. My copy of the book with some of my favourite passages marked. There’s something so satisfying about finding a book you’ve been looking for in a bookshop; it’s like finding treasure. I get so much more joy out of it than I do by simply typing a book title into Amazon’s search bar. That’s not to say that I don’t buy books on Amazon. I do, quite frequently. The nearest Waterstones is a 90 minute bus ride away, and my local bookshops, though lovely little places to browse and purchase popular mainstream books, don’t tend to have very strong science fiction or poetry sections – my favourite genres. Sometimes Amazon is my best option but, when I can, I love hunting out a particular book from a good old bricks and mortar bookshop. In this case, the experience was made even more enjoyable by the chat I had with the bookseller. It turned out she had read the book herself, and, since there weren’t any other customers waiting, she had a few minutes to chat to me about it. The way she spoke of Rilke’s words and how inspiring and moving she found them made me want to read it even more. It was an exchange between two complete strangers who found common ground in a mutual love of books. An added perk was that, after our conversation, she gave me an extra stamp on the rewards card Waterstones was offering at the time. Ten stamps equalled £10 off my next purchase, or something like that. I left the shop smiling and feeling even more eager to read the book than before. The book is primarily a collection of letters written in the early 1900s to an aspiring poet, Franz Xaver Kappus, from Rainer Maria Rilke, himself a successful published poet. Instead of offering a critique of Kappus’s work and providing practical advice, Rilke takes him on a journey of self-discovery. He tells the young man that he should not look to others for approval, but rather look inwards to discover whether poetry is his real passion. I feel that this can be said of any passion that a person has. That it doesn’t matter if others don’t understand or support it. It doesn’t matter if it seems like something beyond your reach. If it is the thing that inspires you, if it makes you happy, if it is all you can think about when you’re lying awake at night – then you should pursue it, with all your heart. Examples of similar advice can be found today, although the medium of delivery has changed a bit! Jon Winokur, author of the book Advice to Writers, runs a Twitter account from which he shares words of wisdom to aspiring writers. He gives advice from his own experiences and from the collected anecdotes of other authors and poets. It’s a great resource if you’re a writer looking for inspiration, or just fancy reading some interesting quotes. I’m often inspired by the things I read, be it a single quote or a full length novel. What that experience in Waterstones taught me is that inspiration from reading can begin even before a single word is read. The fact that I went in search of the book rather than just ordering it sent to my door; the satisfaction I felt when I finally found it hiding in amongst other volumes; the animated conversation I had with a fellow book lover about the wonderful work of a long dead poet: all came before I had read the first page. It added so much more to the reading experience than I would have imagined, and I remember that day fondly whenever I pull Letters to a Young Poet from my bookshelf. E-books and Amazon may be cheaper and more convenient, but, every once in a while, I would urge you to visit your local bookshop instead. You might find more than you knew you were looking for.